We’d love your help. 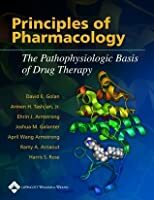 Let us know what’s wrong with this preview of Principles of Pharmacology by David E. Golan. 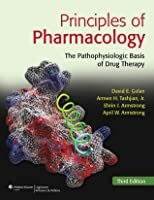 This primary textbook for a first course in pharmacology offers an integrated, systems-based, and mechanism-based approach to understanding drug therapy. 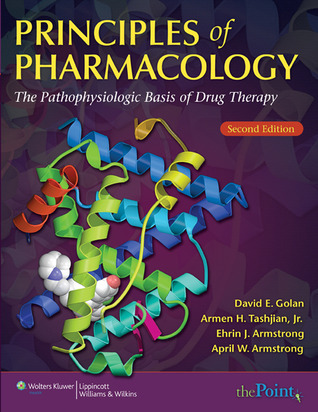 Each chapter focuses on a target organ system, begins with a clinical case, and incorporates cell biology, biochemistry, physiology, and pathophysiology to explain how and why different drug classes are effective for dise This primary textbook for a first course in pharmacology offers an integrated, systems-based, and mechanism-based approach to understanding drug therapy. 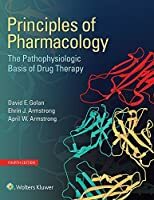 Each chapter focuses on a target organ system, begins with a clinical case, and incorporates cell biology, biochemistry, physiology, and pathophysiology to explain how and why different drug classes are effective for diseases in that organ system. Over 400 two-color illustrations show molecular, cellular, biochemical, and pathophysiologic processes underlying diseases and depict targets of drug therapy. 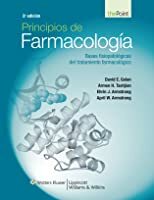 Each Second Edition chapter includes a drug summary table presenting mechanism, clinical applications, adverse effects, contraindications, and therapeutic considerations. New chapters explain how drugs produce adverse effects and describe the life cycle of drug development. 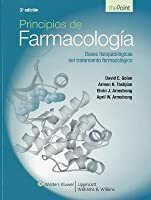 To ask other readers questions about Principles of Pharmacology, please sign up. Great review of physiology before each chapter gets started.